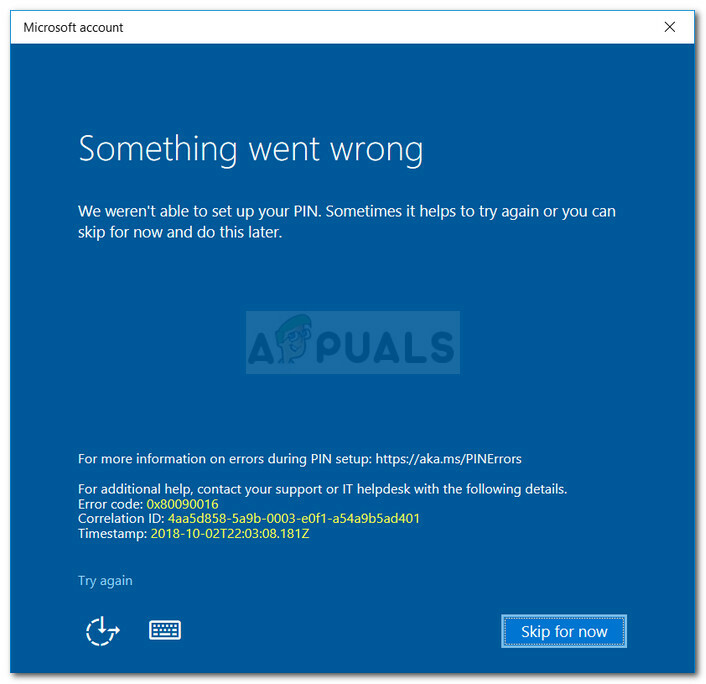 The error message ‘Something went wrong’ along with the error code 0x80090016 appears when Windows is unable to set up a PIN for your device. This is usually due to the corruption of the Ngc folder which is located in the system volume. Many of us have been using a password to log into our system for ages, however, since you are able to sign in using your Microsoft account in Windows 10, using a PIN over a password can be a lot more secure and better. Using a PIN is safer because the PIN is only allocated for a specific device and others cannot access your Microsoft account in case they get their hands on your PIN. However, while setting up a PIN, you might get to face certain issues such as the error code 0x80090016 . You can easily circumvent the issue by implementing a few simple solutions. What causes the ‘Something Went Wrong’ Error 0x80090016 on Windows 10? Corruption of Ngc folder: In most of the cases, the error message occurs when the contents of the Ngc folder on your system are corrupted. This folder is responsible for holding the files that are accountable for your system’s protection. Third-party Applications: Another potential factor that can result in the emergence of the error message is third-party applications. Usually, the request is interfered by the background processes due to which Windows fails to set up a PIN for you. Before you proceed into the solutions, please make sure that you are using an administrator account. 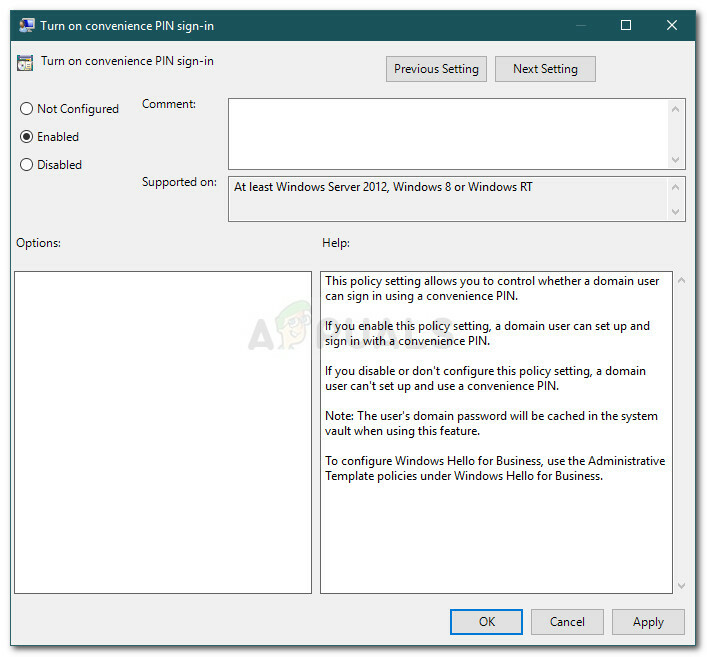 The first solution is going to require administrative privileges as you will be accessing a directory that even the administrator accounts have no rights over. 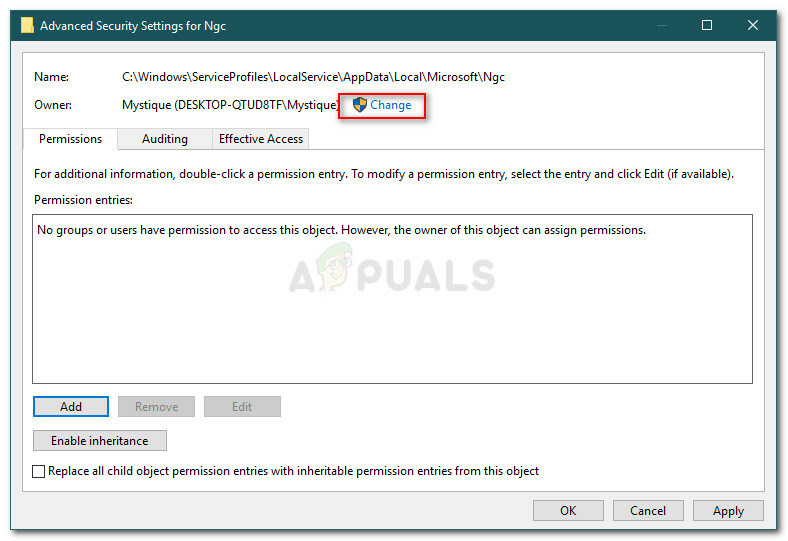 If you are not able to see the AppData folder, you will have to enable the hidden folders by clicking on File and then selecting ‘Change folder and search options’. Switch to the View tab and make sure ‘Show hidden files, folders, and drives’ option is checked. Hit Apply and then click OK.
You will not be able to access the Ngc folder without taking over the ownership. 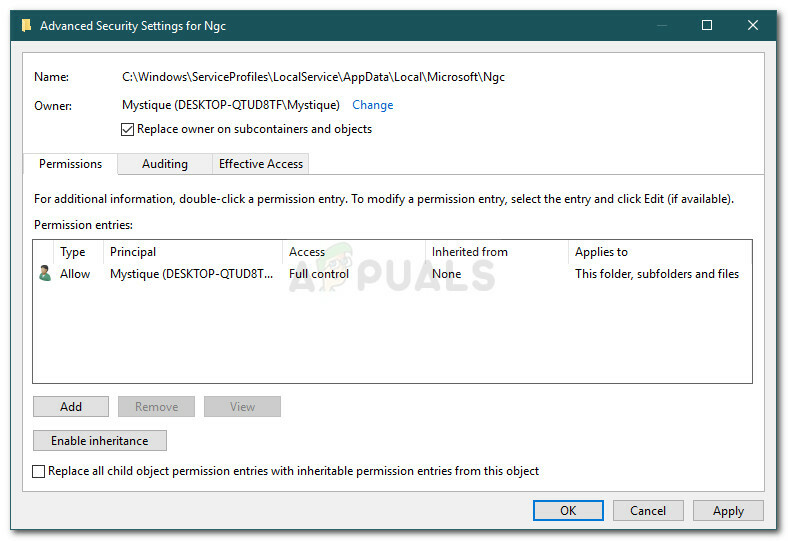 To take over ownership, right-click on the folder and click Properties. Switch to the Security tab and click Advanced. Click Change in front of Owner. Type in the username of the account that you are currently using. Afterward, click Check Names and then hit OK.
Make sure that the ‘Replace owner on subcontainers and objects’ box is checked. Open up the Ngc folder and delete the all the contents of the folder. Try adding a PIN again. 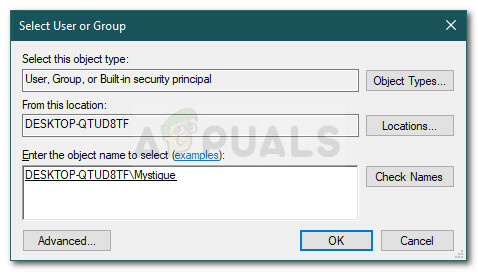 Type in ‘gpedit.msc’ and press Enter. Locate the ‘Turn on PIN sign-in’ policy and double-click it to edit it. Set it to Enabled and then click Apply and OK. Restart your system for it to take effect.